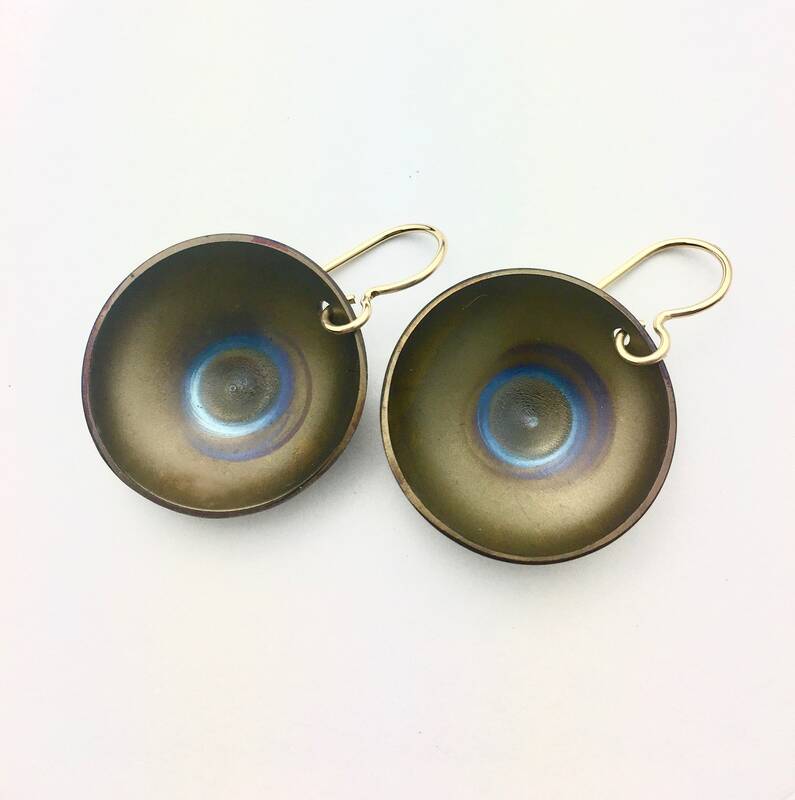 Casual and unique drop earrings feature 22mm concave discs of heat-colored Titanium suspended from 14K gold filled earwire. Total length of earrings is approx. 33 mm.